In a recent podcast previewing the December jobs report, we outlined the strange case of the falling unemployment rate. Despite job growth that was has been modest at best, the unemployment rate fell to 4.6% in November – its lowest level since August of 2007, the prelapsarian days before anyone you’d want to talk to had ever heard of credit default swaps or mortgage-backed securities. As we outlined, the basic mechanism for the falling unemployment rate was an exceptionally low labor participation rate. This stat measures the number of people who are working or actively looking for a job. It effectively measures the size of the labor pool. See, the unemployment rate doesn’t simply measure the number of unemployed people in the total population. This might seem like an economist’s trick, but it makes sense to eliminate certain groups from the count: children, socialites, stay-at-home parents, retirees, a certain class of lazy and/or entitled college students, etc. However, since those halcyon days before the financial crisis, the labor participation has been drifting steadily lower. It reached its low of 62.4% late in 2015 and has been hovering just above that level since. It was at 62.6% in November when the unemployment rate reached its nine-year low. These aren’t just cyclical lows either. The downward drive of the labor participation rate marks an unwinding (to steal a phrase from George Packer’s book about the decades-long deterioration of the country’s industrial base) of one of the signature economic trends of the 1960s and 1970s. The 62.4% labor participation rate reached in September of 2015 was the lowest level since 1977. That’s literally the lowest level in a lifetime, if that lifetime happens to be mine. If you’re older than me, it’s still a long, long time. If you’re younger, that’s a historic low. As we noted in our podcast, 1977 is the year that the Mary Tyler Moore show went off the air. It’s also six years after the founding of Ms. magazine and three years before the release 9 To 5 (either the movie or the song). I’m picking those examples for a reason. For us here in the days when a woman just won the popular vote for president by more than 2.5 million votes (but lost the presidency by about 100,000 votes in three key states), the 62.4% figure for labor participation marks a multi-decade low. 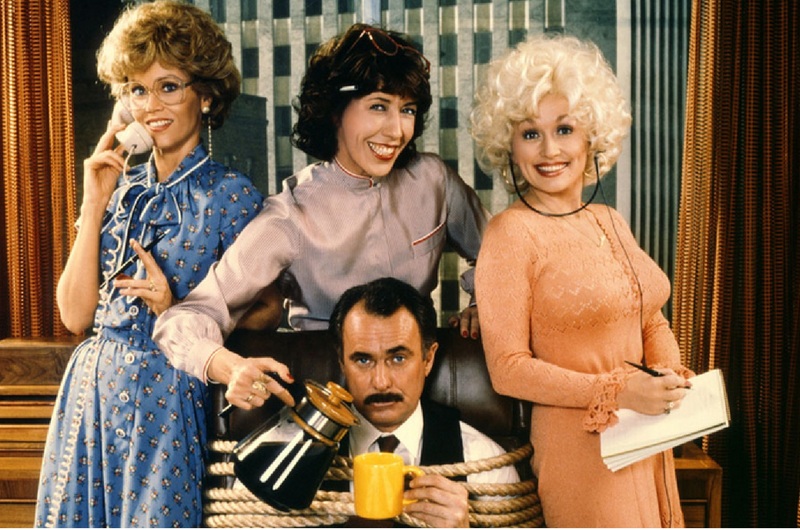 But for the people in 1977, who had just started reading Ms. and who were unknowingly, unconsciously pining for a Dolly Parton song about women’s role in the workplace, that same number represented a historic high. And not just historic in the sense of being younger than me. Rather, as in never-happened-before historic. From the time the data began to be compiled in 1948, the labor participation rate hovered in the high 50% range, never dropping below 58.1% and only rarely ticking above 60%. But things began to change in the 1960s and accelerated in the 1970s. Watch Mad Men if you want to know the details, but the basic idea is that women pushed for workplace equality and sought to build careers for themselves. From the 1960s through the 1990s, there was a general reorganization of the family-working dynamic, where two-income households became much more common and, in many parts of society, they became the norm. As this process took place, the labor participation rate marched steadily higher. It first ticked above 61% in 1973. It first moved above 62% in 1977. It topped 63% for the first time in 1978, 64% in 1980, 65% in 1985, 66% in 1988 and 67% in 1996. The labor participation rate stopped short of 68%. It reached a peak of 67.3% in early 2000, then drifted down from there. A stabilization became a decline following the financial crisis and the beginning of the Great Recession. Last week’s employment report played into these trends. The number of jobs created came in at a disappointing level (156,000). Meanwhile, the labor participation rate ticked up (to 62.7, in the range of the last few years). And, not unexpectedly, the unemployment rate ticked back up to 4.7%. There is a large pool of potential workers currently on the sideline of the economy. It’s unclear how many of these people are looking to get coaxed back into the economy, but it casts suspicion about how much the unemployment rate reflects the complete picture.